Beck announced his newest album, titled Beck Hansen’s Song Reader, which pretty much means you’re going to have to put everything together. This is a new experimental experience by Beck, who wrote 20 pieces of music for fans to put together. The song reader will be out this December by McSweeney’s. In the wake of Modern Guilt and The Information, Beck’s latest album comes in an almost-forgotten form—twenty songs existing only as individual pieces of sheet music, never before released or recorded. 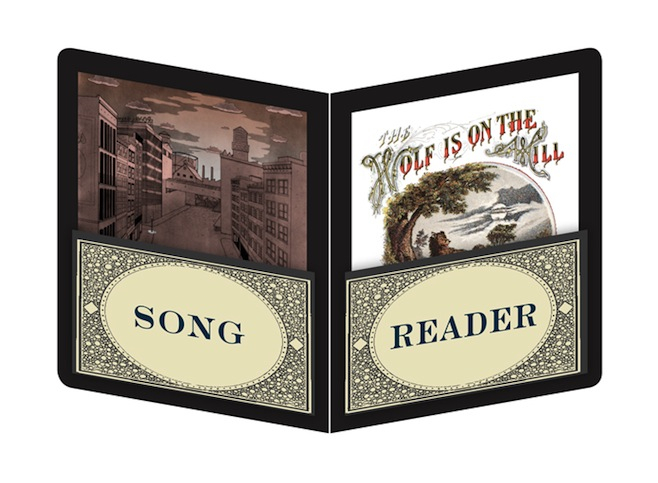 Complete with full-color, heyday-of- home-play-inspired art for each song and a lavishly produced hardcover carrying case (and, when necessary, ukelele notation), the Song Reader is an experiment in what an album can be at the end of 2012—an alternative that enlists the listener in the tone of every track, and that’s as visually absorbing as a dozen gatefold LPs put together. BECK HANSEN’S SONG READER features original art from Marcel Dzama (who created the imagery for Beck’s acclaimed Guero), Leanne Shapton, Josh Cochran, Jessica Hische, and many more, as well as an introduction by Jody Rosen (Slate, The New York Times) and a foreword by Beck. The package measures 9.5” x 12.5” with 108 pages comprising 20 individual full-color song booklets—18 featuring original lyrics, and 2 instrumentals—with covers from more than a dozen different artists.